Even though alcohol consumption was outlawed by Prohibition during the 1920s, it didn't stop people from consuming delicious cocktails. Bootleggers found ways to create and supply liquors such as gin and whiskey, which served as the alcoholic base for many of the popular cocktails of the time. 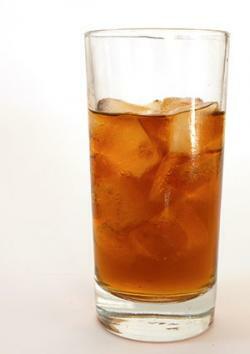 The highball was invented in the late 1800s, but gained popularity during Prohibition. Highballs typically have a spirit cut with a mixer over ice. This version is a simple whiskey and soda in a highball glass. Serves one. Fill the glass to the top with soda. Highball drinks are not garnished. 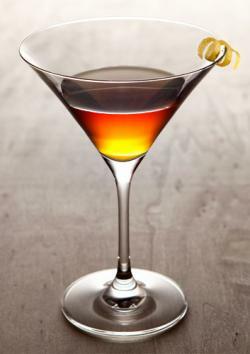 Dubonnet, a French red fortified wine, was used in this cocktail in the 1920s to camouflage the flavor of substandard gin. The result was an aromatic and dry drink. Serves one. Add the gin, Dubonnet, and lemon juice. Legend holds that the Ward 8 cocktail was created to honor the election of Martin Lomasney, a powerful Massachusetts political figure first elected at the turn of the 20th Century. The drink was popular in the 1920s because it featured rye whiskey of dubious quality masked by sweet grenadine and orange juice. Of course, since Prohibition is over, you can use a quality rye whiskey in this cocktail. Serves one. 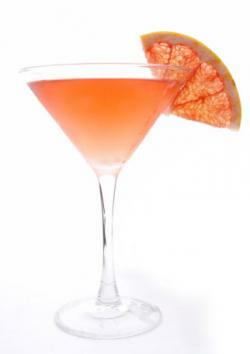 In a shaker, combine the whiskey, lemon juice, orange juice, and grenadine with ice. Strain into a chilled Collins glass half full of ice. Fill the glass with seltzer. Ward 8 is not served garnished. The expression "bee's knees" was popular during the 1920s, meaning that something was the best. 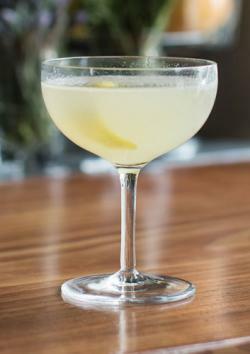 This cocktail was popular because it used bathtub gin, which wasn't the smoothest of alcohols, but the flavor was covered with sweet honey and lemon juice. Serves one. In a shaker with ice, combine the gin, lemon juice, and simple syrup. Gin was popular during Prohibition because it was relatively easy to produce in secret. The Southside cocktail is another gin-based drink that disguised the rather harsh flavors of bathtub gin by using aromatic and sweet ingredients; in this case, mint, lime, and simple syrup. Serves one. 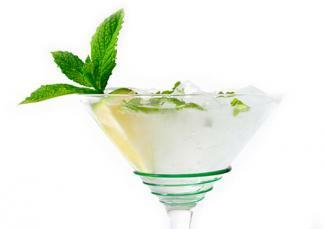 In a shaker filled with ice, combine the gin, lime juice, and mint sprig. Sake and strain into a chilled cocktail glass. Garnish with the mint leaf. New York's Colony was a speakeasy in the 1920s, and they created this gin cocktail, which gained popularity during Prohibition. Once again, the trick was in disguising the flavors of bathtub gin, this time with grapefruit and stone fruits. Serves one. Add the gin, grapefruit juice, and Luxardo. Made fizzy with an egg white, this cocktail was created at the popular Clover Club speakeasy in New York. Serves one. 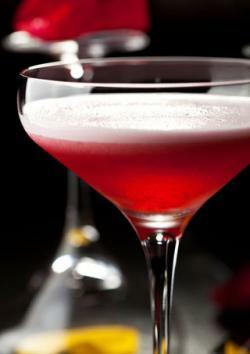 In a shaker filled with ice, combine the gin, egg white, raspberry syrup, and lemon juice. 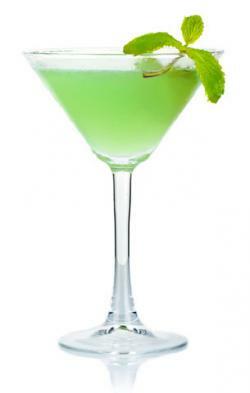 Bitters and creme de menthe help to disguise the harshness of the bathtub gin in this very popular 1920s cocktail. In a cocktail shaker filled with ice, combine the gin, lime juice, creme de menthe, and Agnostura bitters. 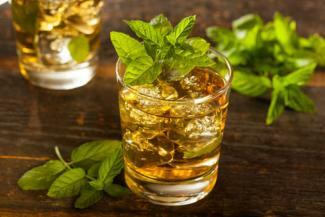 The mint julep has come to be associated with the Kentucky Derby, but it's been around since the early 1800s. It was popular in the 1920s and was even mentioned more than once as a drink of choice in The Great Gatsby. Mint and sugar sweetened the bourbon, which may have been of questionable quality during Prohibition. Feel free to use a high-quality bourbon in your recipe. 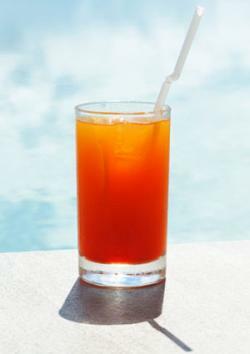 This sweet drink was named for the popular film actress. With maraschino liquer, pineapple juice, and rum, it offered a fruity departure from many of the gin-based Prohibition era drinks. Makes one drink. 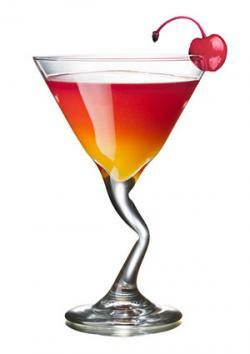 Add the rum, pineapple juice, grenadine, and maraschino liqueur. With movies like The Great Gatsby and television shows like Boardwalk Empire, Prohibition era drinks and entertainment have been enjoying a renaissance. Serve these fun drinks at viewing parties, at Prohibition parties, or when hosting a 1920s murder mystery party. These fun cocktails will add an air of authenticity to your event.